​Canada's former Prime Minister, Stephen Harper, in his G-8 speech referred to Muskoka as "quintessentially Canadian". The surrounding rock formation in the area is part of the Pre-Cambrian Shield, the oldest of the Earth's crust. ​It is believed to have been formed between one and two billion years ago. 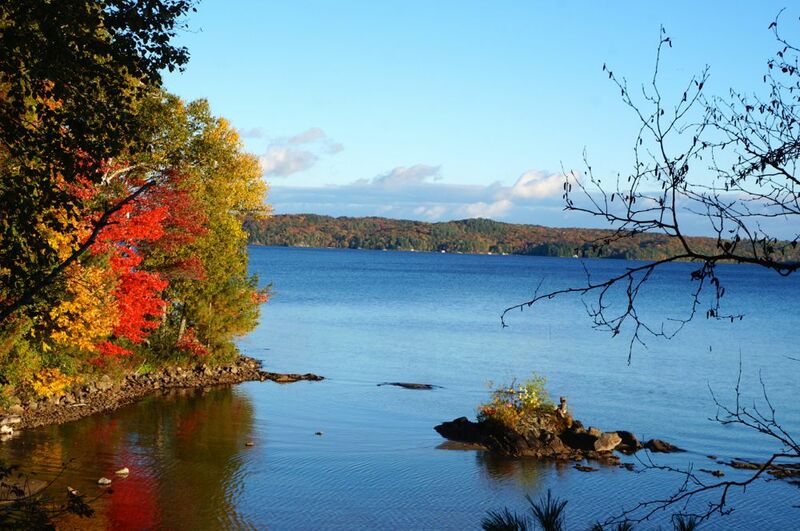 With more than 600 lakes and just about 2 hours from Toronto, Muskoka has become a refuge for urban dwellers. ​​Muskoka topped the list! Yes, Muskoka has been in the list of of the world's best summer trips. It was chosen according to National Geographic editor-in-chief because this region "feels like it's been there for a long time and stayed true to what is". This region is a 2,500 square mile natural playground. This includes 8,699 miles of shoreline, 17 historic towns and villages, and countless waterfalls and lakes bordered by the granite peaks of Algonquin Provincial Park to the east and the 30,000 islands of Georgian Bay. When you ask most of Toronto where they go for the summer, you'll often hear Muskoka. 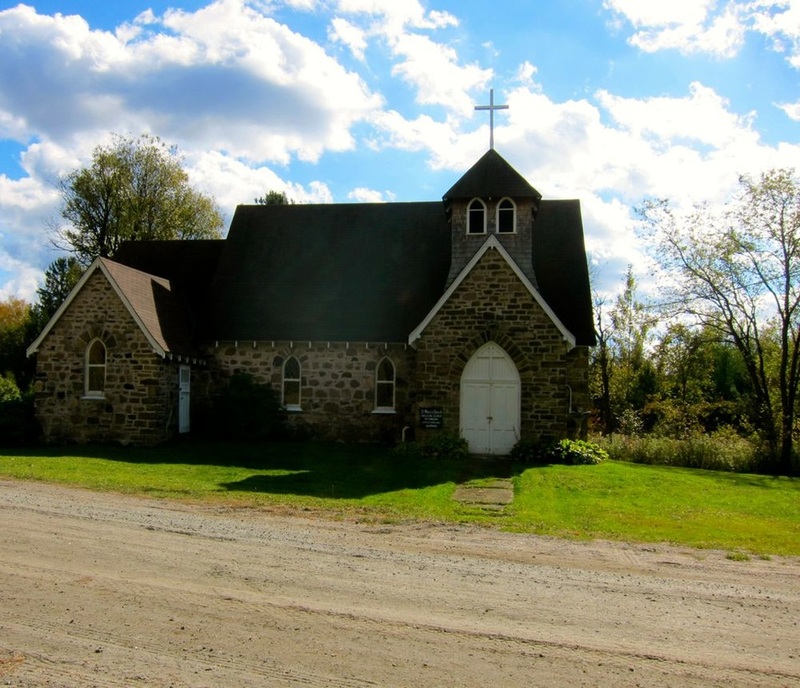 Just about 2 hours drive from Toronto, it has been its playground for many who call themselves cottagers. Given its proximity to Toronto and its shimmering lakes, rivers, forests, pioneer farms and quaint little towns and golf courses and family traditions and memories, most Torontonians just head here each time they can take a break during the summer months. Stories abound and books have been written on these trips. They come to hang out, relax and be with families often multigeneration. Some cottages have been in the same family for over a hundred years and the picture albums are treasure troves of memories. There are many from across the borders as well. Americans even as far as Hawaii and California flock to this place in the summer and many of them own cottages, too. ​The Toronto Film Festival brought its own celebrities who after having been invited to the area have found the quiet life and unintrusive crowd a respite. They can go to marinas, restaurants, golf courses, farmers and flea markets as well as community meetings without being harassed by fans. Some get engaged in community life and use their cottage as a base for green invention. 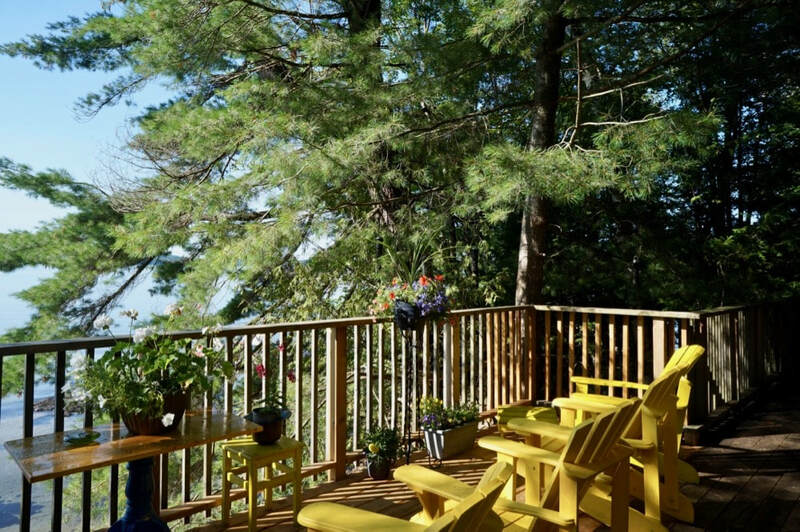 ​There are so many things to do in Muskoka but the best for me is cottaging. Try this, rent a cottage an find out for yourself how to live really close to nature. 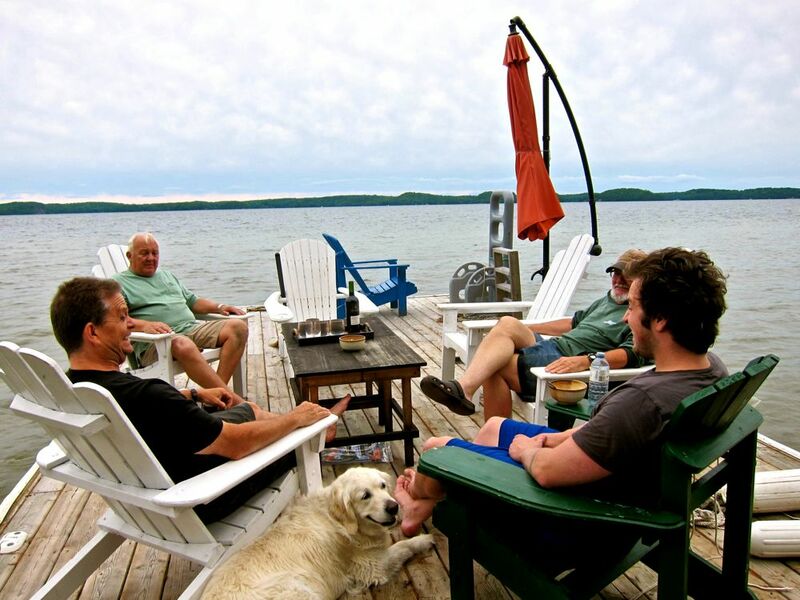 Cottaging in Muskoka is quite a complex social ritual. For the vintage crowd of generational cottage goers, the date they watch for is the Victoria weekend (May). This is the magic date for many cottagers in the Muskokas. They all troop up to open their seasonal properties and begin the annual battle with mice, chipmunks and racoons. The opening and closing of cottages are rituals with families having their own specific litanies followed for generations and gradually becoming rituals that no one understands anymore. On Fridays in Ontario summers, cars pack Highways 400/11, the legendary 150 kilometer parking lot between Toronto and Muskoka. The ordinarily 2 hour drive becomes 5 hours or more if you happen to be in the thick of traffic coming out of work on Friday afternoons. But is this a problem? Not really. For many cottagers, this is part of the trip. And there are always places where families traditionally stop and hear the annual stories "you think this is bad....ha...when I was a girl and grandpa drove us here....etc....etc...etc." Many stop at Webers along the way for a bite of that legendary burger. Do you know that Webers serves 7,000 sliders a day in peak season? There are other traditional places to stop to get butter tarts and flowers or fruits and the line ups in these places are equally long. But who cares. They're off to the cottage and it is always full of fun. Unless little Randy throws up! The first "cottagers" in Muskoka were Canadian First Nations mainly the Algonquins and the Hurons. Then, the explorers like Samuel de Champlain who came to find a quick route to China....surprise, surprise....and then the missionaries. The lure of timber and the Free Land Grant and Homestead Act of 1868 that gave free land of over 200 acres to those who met the conditions encouraged the settlement of the area. But the settlers peace was soon overtaken by the running of the steamship which brought wealthy sportsmen and vacationers mostly from the United States. One of these original steamships is still running, the Segwun. Originally built in 1887, it was called the Nipissing II at which time she was used as a Royal Mail Ship. In 1925, the ship was remodeled and renamed the Segwun which means "springtime" in Ojibway. It is absolutely amazing and the short voyage into the lakes is a stunner. 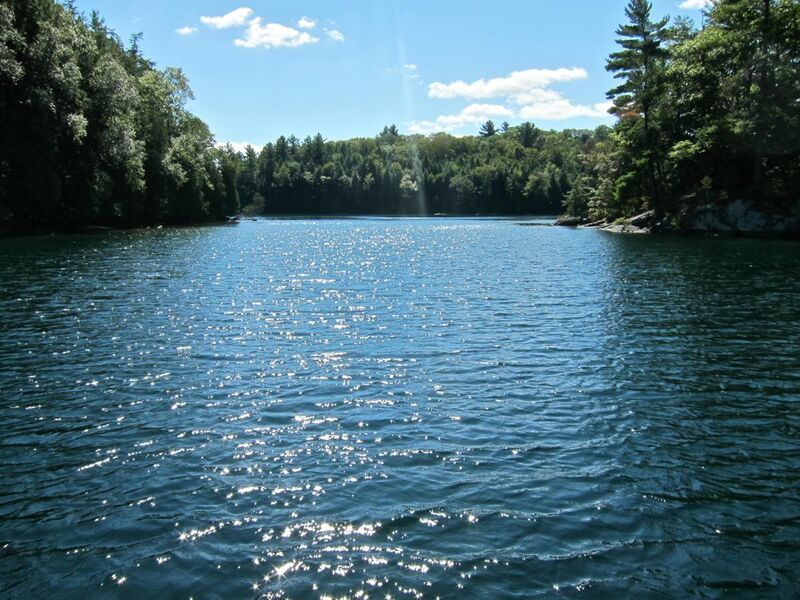 ​Don't get the impression that Muskoka is only for billionaires and the Hollywood hotshots. That is only a small slice of Muskoka. There are families with cottages up and down the different rivers and lakes here. It is such a big place that there is a spot for everyone. Some parks are bigger than whole countries. Many people come and rent cottages or stay at some of the recently renovated or newly built resorts. If you find camping to be fun, this is the place. There are hundreds of campsites, most very affordable, each with its own assigned squad of mosquitoes and at least one chipmunk on duty 24/7. Some have organized and supervised activities for kids of all ages and preferences. There are sites for families of all budgets so you can enjoy Muskoka even if you don't own a cottage here. 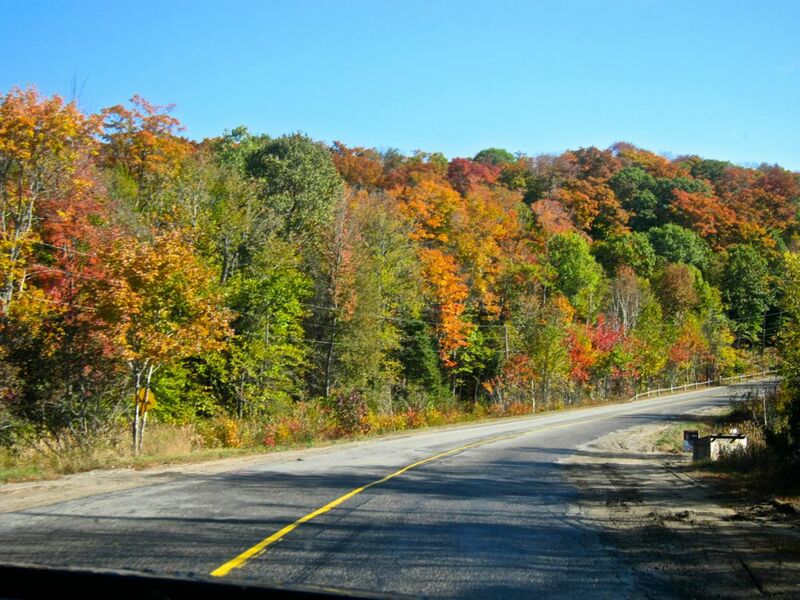 Just drive north and enjoy for the day what Muskoka offers. Have a dip in the public beaches, eat in a restaurant on the water or bring your boat to the public launch and have a tour of the magnificent island filled lakes. ​Wilderness is what Canada is. You can have a taste of this in the parks and these three parks are right in Muskoka and vicinity. Established in 1893, the Algonquin is the oldest provincial park in Canada. In 1992, it was named a national historic site in recognition of its ancestral structures such as lodges, hotels, cottages, camps, entrance gates, a railway station, and administration and museum buildings as well as its role in the development of park management and in pioneering visitor interpretation programs later adopted by national and provincial parks across the country. A full logging musem has been developed and it is a fantastic walk about teaching of the boucheron who first hacked into the wilderness chasing the great trees. 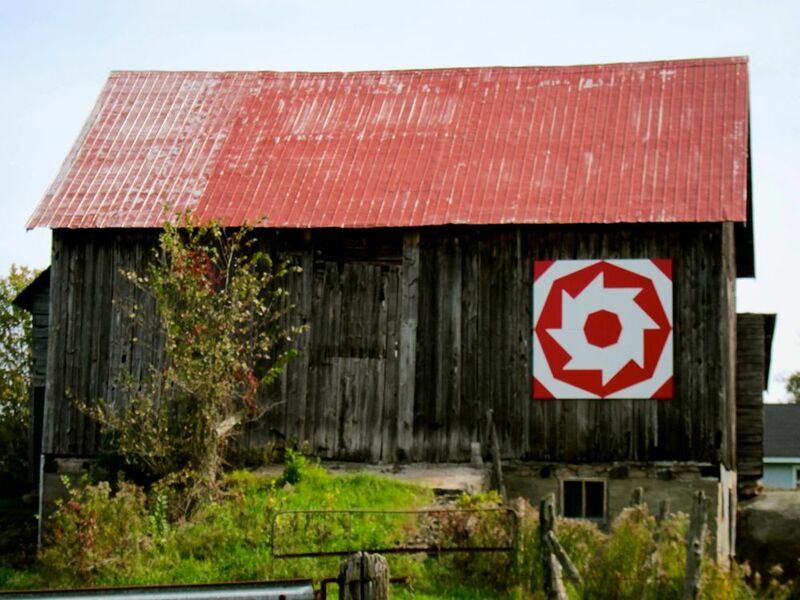 Some of Canada's best artists developed their craft in the park, and were among the first to give southerners in Canada a greater sense of their country . If you fly strait north, the next people you see may speak Russian. The steamship encouraged other developments and some of these are now institutions in the area. Mr. William H. Pratt built the first Muskoka summer luxury wilderness resort known as the Rosseau House. Guests came from as far away as England and the southern United States. Rosseau house burned in 1883 and was not rebuilt. Maybe it was a Prattfall! In 1868 (or so) Thomas Aitken built Windermere House. Starting as the family home, he expanded the place and by 1890, it could hold over 200 guests. In February 1996 the hotel was destroyed by fire during filming of the movie called "The Long Kiss Goodnight". It was rebuilt to look exactly like the original one and reopened on May 31,1997. Retreat to the last century in this magnificent lakeside resort and feel like a robber baron. Then Clevelands House was built by Charles James Minett who took the government up on its free land grant in 1869. Originally called Cleeve Land after the name of the village Cleeve in England where he had come from, the hotel misprinted the name in its first registry so from then on has been called Clevelands House. Spelling lessons have since been introduced to Muskoka school curriculum. The resort has been expanded and renovated over the years but still holds its traditional Muskoka charm today. With more guests coming, in 1881 Enoch Cox and his family built a boarding house which could accommodate 30 guests. By 1888, Prospect House could accommodate 300 people, offering tennis, ballroom, sandy beach and more to entertain its guests. The resort burned in the fall of 1916 and was not rebuilt. 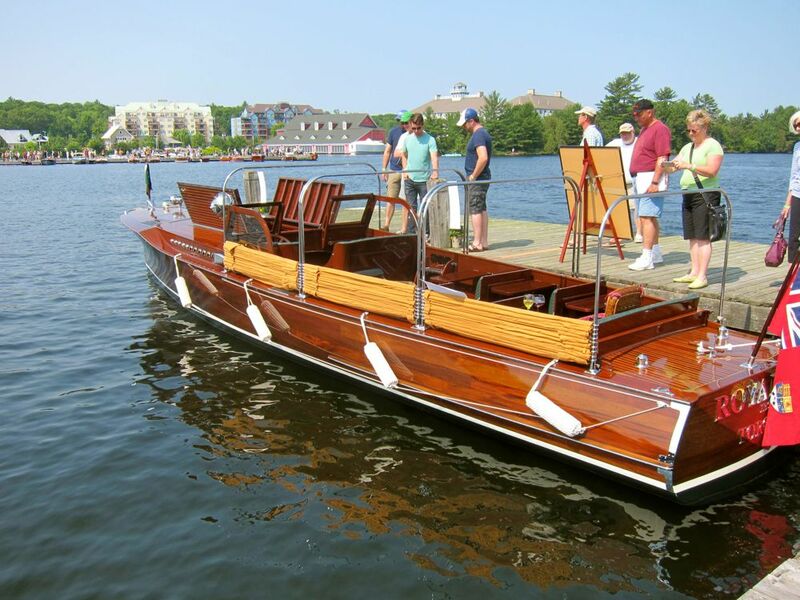 In 1901, the Muskoka Navigation Company built the Royal Muskoka Hotel, a luxury resort on Royal Muskoka Island which expected its guests to be attired at all times. Society types from around the lake would come to the hotel for an evening of dancing. The hotel was destroyed by fire in 1952 and not rebuilt. Deerhurst Inn was built in 1896 by Charles Waterhouse. At the time the only way you could reach the resort was by steamship. In its first year of operation the resort had only two guests, two years later they were turning people away. The resort today is a fully winterized facility offering accommodations and things to do all year round. The Algonquin Provincial Park is about 7653 square kilometres. This is about one and a half times the size of Prince Edward Island or the US state of Delaware and about a quarter the size of Belgium. The essence of Algonquin is its vast backcountry of maple hills, rocky ridges, spruce bogs, and thousands of lakes, ponds and streams. The only way to explore this rugged beauty is by canoe or on foot. Moose are scattered about and put on a great show. Then there are bears and beaver and the whole blistering gang of wolves and the rest. Buy new running shoes. You don't have to be faster than the bears, just faster that the tourist running beside you! 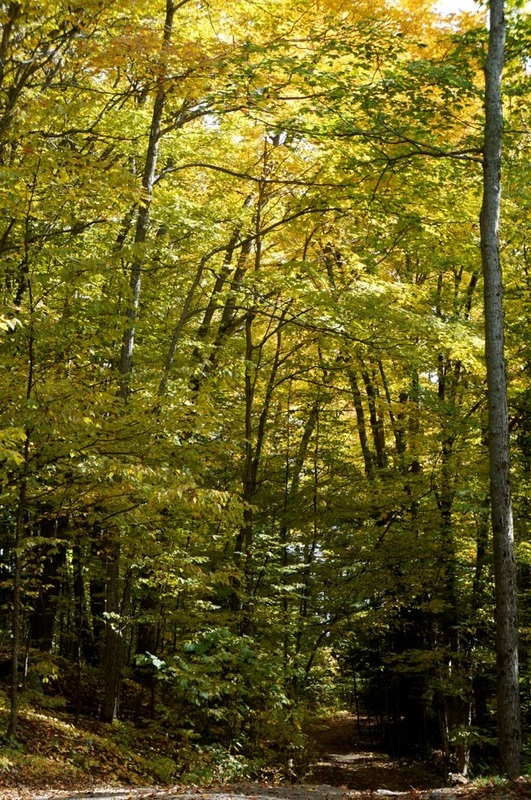 A year round park in the heart of Muskoka, the Arrowhead Provincial Park offers hike or bike trails that wander through maple forests and past waterfalls, beaver ponds and homesteaders' farms. The Arrowhead and Mayflower Lakes as well as the meandering Little and Big East Rivers in the park are ideal for paddling, fishing and swimming. In winter, the park offers skiing on groomed trails, tubing down a hill or skating on an outdoor rink. • Parks CanadaWant to know more about the parks in Canada? This is your site. 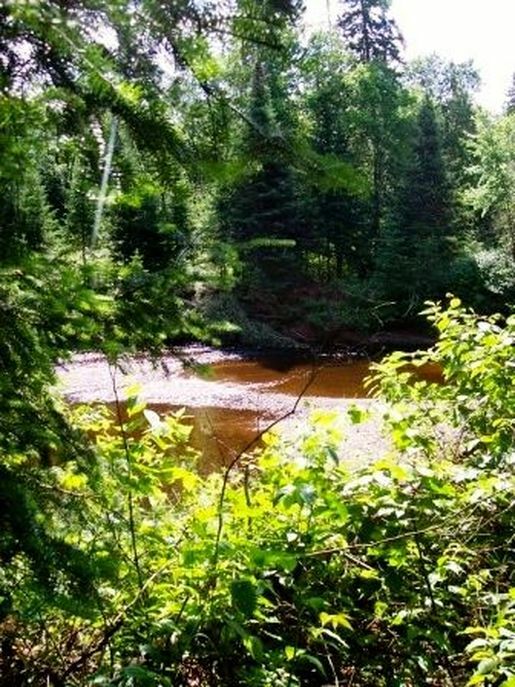 • Algonquin Provincial ParkWant to go visit Algonquin Provincial Park? You can get all the information you need here. 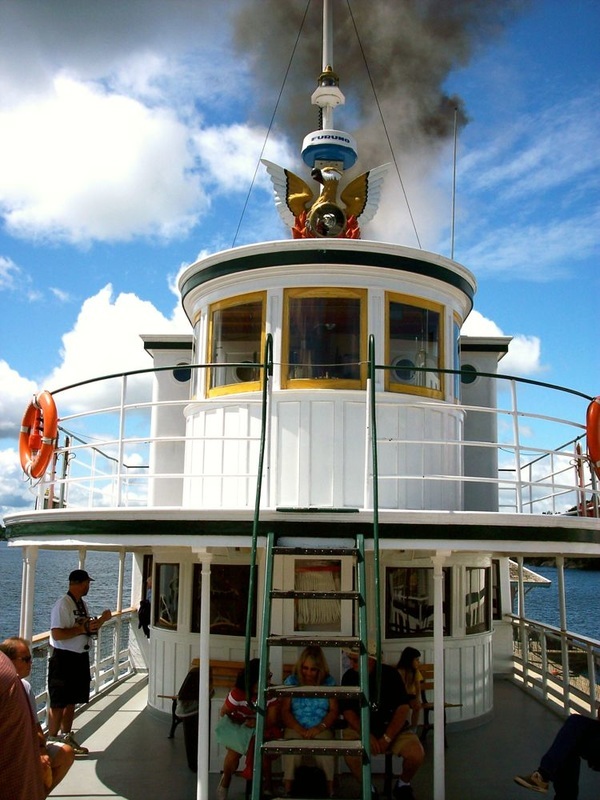 You just have to get on one of these steamships still plying the waters of Muskoka. One more, the Bigwin, is now back in the Lake of Bays to the joy of the people in the area. Next time you come to Muskoka, try it. Take a step backward in time at this authentic working pioneer village with an operational 1928 Portage Flyer Steam Train. You can easily spend a day here with the kids. There are lots for them to do. 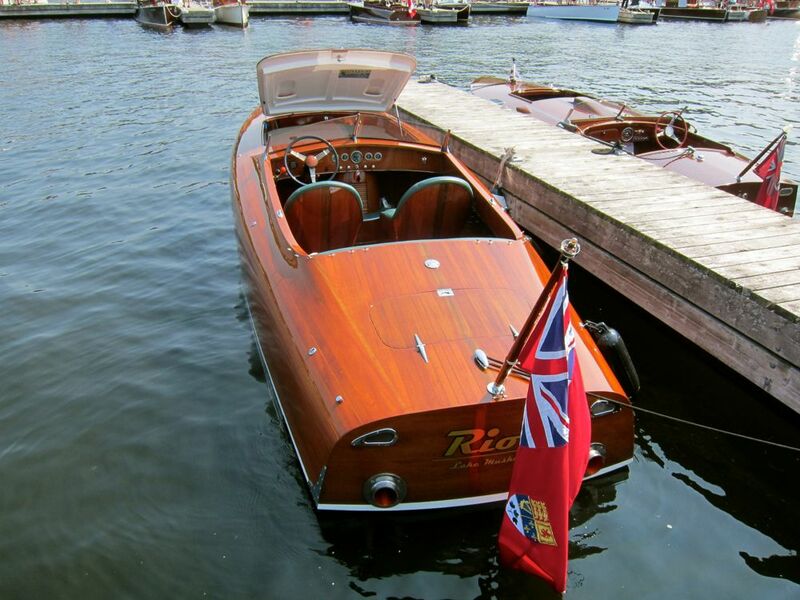 ​While it has traditionally been a summer destination, today, Muskoka has gone beyond that. Cottagers have given up their big digs in the city and live at the cottage most of the time. Better roads and recent technology have supported renovations in many of the old cottages and they now have become four season residences, some quite palatial. Muskoka in the Fall is like an carpet with its bright yellows and reds and all the other colors only seen in this season. What is a big bonus is the absence of mosquitoes and other bugs that often disturb one's sleep in the dock. 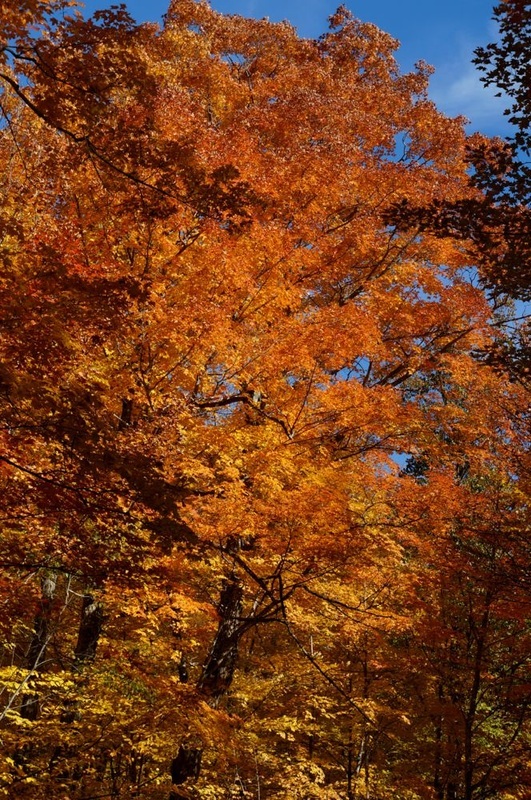 Families come and enjoy the change of colors during the Fall and celebrate Thanksgiving here. Many also celebrate Christmas. It is the best experience of a white untrodden Christmas with the paw marks of the amazing range of wild life that lives happily in the woods.The lakes freeze a meter deep and make the biggest skating rinks in the world . The sound of the lake in winter is wild as the ice cracks and groans as if it has a story to tell. There is endless cross country skiing and snowshoes are everyday wear. But for the cottagers, this is the time to test out their skidoos on the lakes or meet in groups on their snow shoes or their cross country skis. Muskoka is beautiful no matter what season you come. Just enjoy it from your covered porches when the black flies come, usually in June. It has not been bad recently, thanks to the warm weather. Winter offers many outdoor sports in Muskoka: Skiing, Snowboarding, Ice Fishing, and Snowmobiling. Muskoka`s 1600 kilometer network of trails maintained by highly committed local clubs. Enjoy the snow clad hills, forests and frozen lakes. here are some links that may be useful for some winter fun. The Muskoka Ski Club, located in Hidden Valley, is one of Ontario`s oldest and most established ski clubs. The Arrowhead Provincial Park has the Nordic Ski Centre which offers one of the most scenic cross country skiing in its over 40 kilometers trail. Look at these links and enjoy the outdoors in the winter. ​Check out the sites below for more on Muskoka.